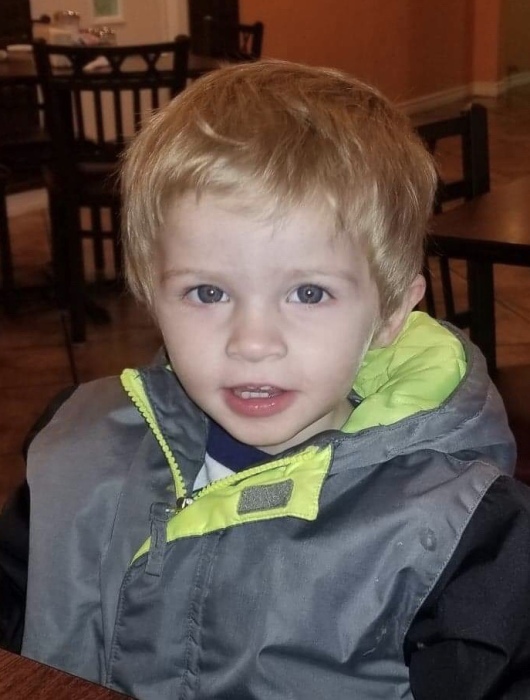 Azle ~ Tyler Zane Howard, 1, went to be in the arms of our Lord Wednesday, February 6,2019 in Azle. Funeral is 2:00 p.m. Wednesday, February 13, 2019 at Hawkins Funeral Home in Decatur with burial in Sand Hill Cemetery. Family will receive friends 6-8 p.m. Tuesday at the funeral home. He was preceded in death by his great-grandfather, Lawrence Wagner; and his grandmother, Trisha Blackwell. Those left behind to cherish his sweet memory are his parents, Jared and Sierra Howard of Azle; his brothers, Gage and Lance Howard; his grandparents, Brad and Sandra Howard of Boyd, and Billy Blackwell of Borger; his great-grandparents, Connie Wagner of Boyd, Diana Harvill and husband David of Boyd, Betty and Danny Blackwell of Borger, and Wanda Wyatt of Borger; his uncles, Logan Blackwell of Borger, and Justin Lusk and wife Lacey of Borger; extended family and a host of friends.